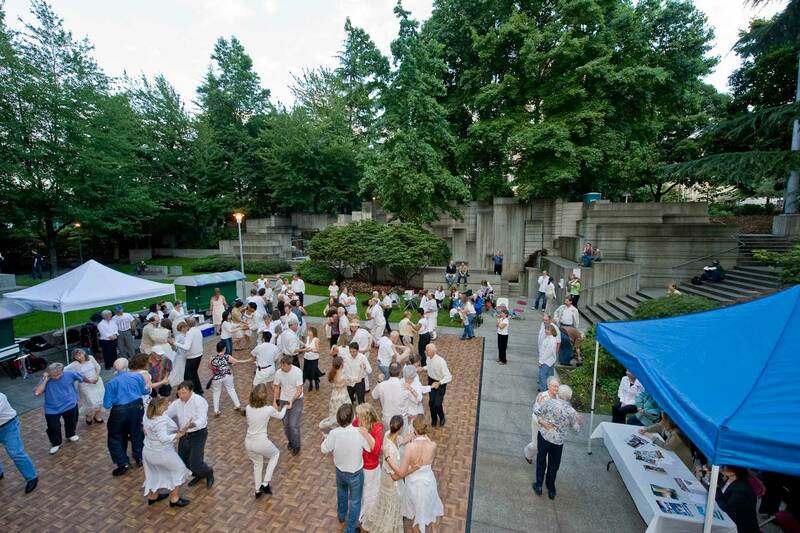 THEN: In the 32 years between Frank Shaw's dedication picture and Jean Sherrard's dance scene, Freeway Park has gained in verdure what it has lost in human use. NOW: Weekly summer dances are one of the many joyful strategies for returning people to the park. By the evidence of his negatives, Frank Shaw loved to explore the city from his lower Queen Anne apartment, carrying his Hasselblad camera and planning the views he recorded so he didn’t waste film — a discipline that was abandoned with the introduction of digital cameras. Shaw especially liked the waterfront, Pioneer Square and parks of all sorts. If there was an important event connected with them, a record of it has a chance of being included in his meticulously organized binders. 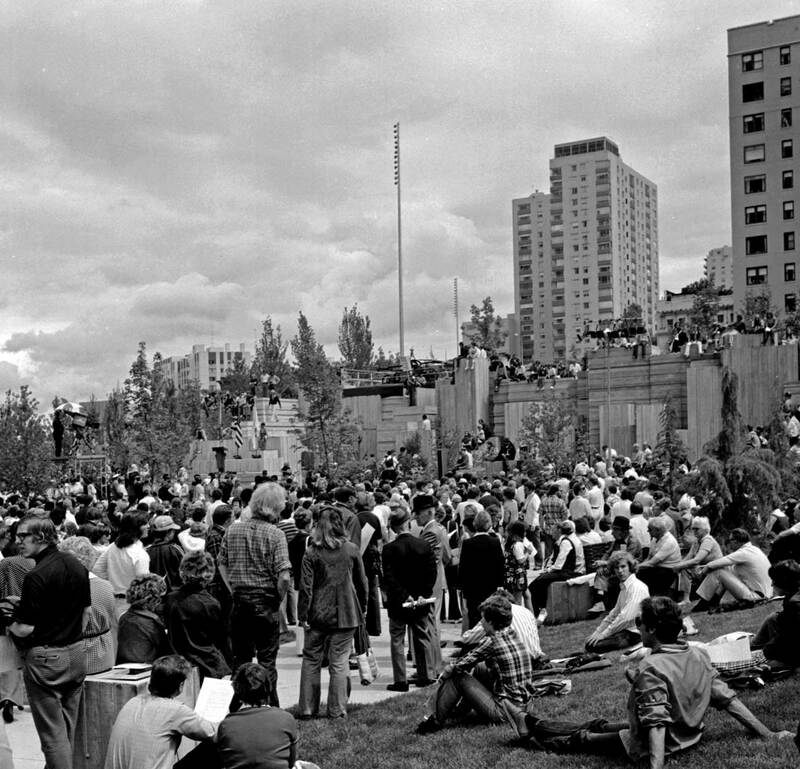 Just so, on July 4, 1976, Shaw entered Freeway Park from its southwest corner off Seneca Street during the park’s bicentennial dedication. Carefully, he exposed two negatives. As revealed in Shaw’s record, the architectural clarity of the landscape, despite the dedication-day crowd, might startle readers who are familiar with the woodsy commotion that has since, perhaps, overdosed this freeway-covering retreat. From Shaw’s prospect, Jean Sherrard would have been looking into branches. Instead he moved forward about 20 yards, put his Nikon on his extension pole, and looked down on the couples, most of them “in something white,” enjoying The Ball Blanc in August. 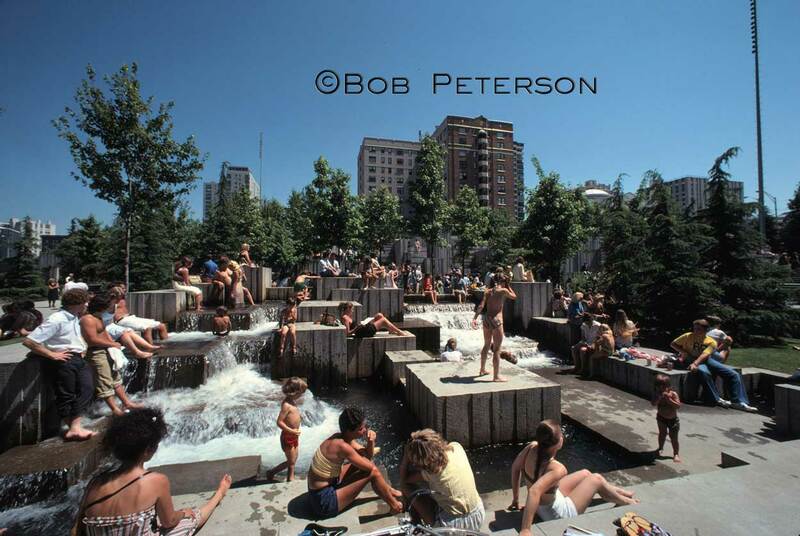 For about three years, a growing cadre of boosters like Town Hall, Horizon House, Home Street Bank and other activists in the Freeway Park Neighborhood Association have joined in a plan to repair the park and return to it a daily flow of people and some of the thousands of gallons of water that once splashed through its waterfalls and pools. 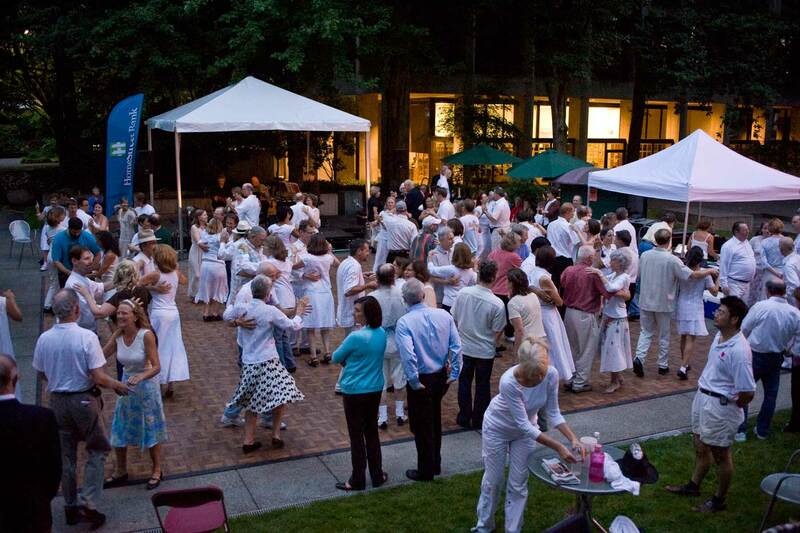 These regular free summertime “Dancing Til Dusk” dances, complete with an hour of instruction, are an important part of the revitalization. The dances will return again next summer. A marvel from photographer Bob Peterson. Sun worshipers enjoy the fountains before the trees grew tall. From the other direction, in the gloaming. 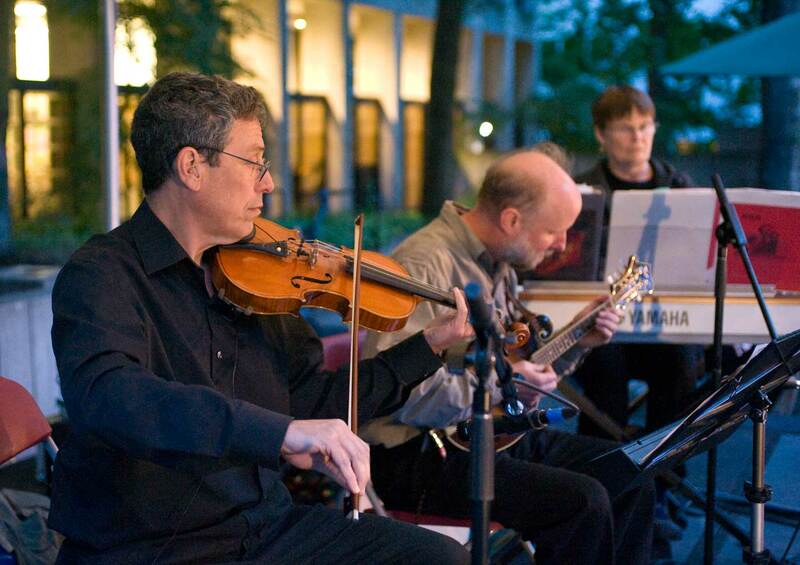 Thank you for giving a history of Freeway Park!! I’ve lived in Seattle for the last 5 years and always wondered about the parks design and historical significance. Everyone should have an appreciation of our fine city!! This park was part of my inspiration while a Landscape architecture student at Cal Poly SLO…even did a model replica…..K Carlson.